The trick is to strike at the right time. The bite registration is done with a swing tip, quiver tip or touch ledgering. For more great tips and advice on recreational fishing, subscribe to our hugely popular YouTube channel Snapper Fishing Tackle. What’s Special About the Reedy’s Ultra Rigz? 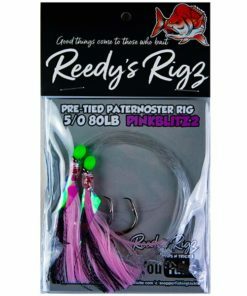 Reedy’s Ultra Rigz is a new and advanced and a much improved version of the Reedy’s Flasher Rig, which is one of our most popular products. It is superior in every way to the Flasher Rig, and much different from our other bestselling product, the Snapper Rig / Flasher Rig. This fishing rig offers “5X” times or five times as much luminous glow under water. This is great for attracting the fish. Fish are curious by nature and they are attracted by light. 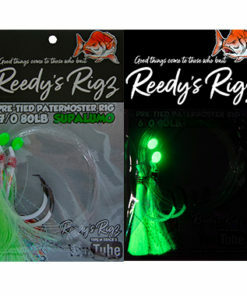 To catch the fish, show them the light, and that’s what the Ultra Rigz from Reedy’s does. The Fasher Rig and Snapper Snatcher are made using FLASHABOU Fibre. FLASHABOU is an old technology, founded way back in 1982. Back then, it was discovered that adding “flash” or a synthetic accent to the lure was a great way to attract fish. FLASHABOU makes super strong metallic fibres that were soon a part of lures and fishing rigs everywhere. It certainly made fishing a lot easier for recreational fishing enthusiasts or those who fish for fun. Since then, the technology has improved. 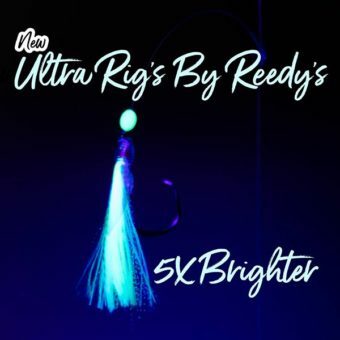 The new Reedy’s Ultra Rigz is made using a new fibre which glows 5 times as much as FLASHABOU does. That’s what makes it so special. 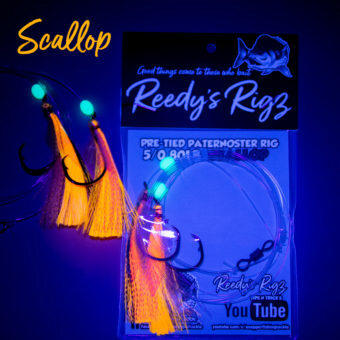 In fact, you can draw many comparisons to the Ultra Rigz and to how a UV Squid Jig works. Ultra Rigz make use of a new type of fibre that reflects light in the same manner as a UV Squid Jig. That’ what makes it such a game changer! 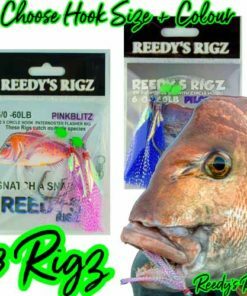 Ultra Rigz makes use of much improved terminal tackle or swivel and hook system. What makes this new terminal tackle so brilliant is that it is based on a very simple but effective technology. The new Ultra Rigz features a new fishing swivel, which has been upgraded from a barrel to a roller (a ball bearing.) Now, what’s so smart about a ball bearing? Hear us out. We’ve been making the Reedy’s Flasher Rigs for quite a few years now. 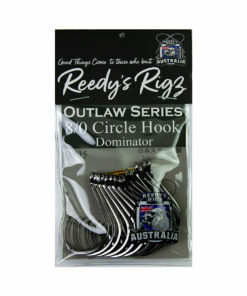 Reedy’s Flasher Rigs, like all other flasher rigs makes use of a barrel swivel system. We felt that it was time for a change, time for something new, something better. That’s why we have introduced a new swivel system that makes use of a ball bearing rather than a barrel. Both the ball bearing swivel and the barrel swivel have one basic purpose, which is to prevent line. However, barrel swivels are not nearly as good or as efficient as ball bearing or roller swivels at preventing the line from twisting. The new ball bearing swivel consists of a tiny little ball bearing which is very good at preventing any sort of line twist. 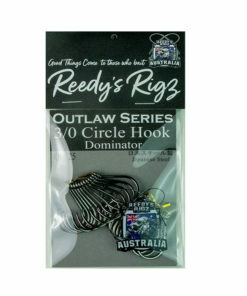 Reedy’s Ultra Rigz comes with a new and improved hook: a slightly heavier gauge circle hook that is capable of catching much bigger fish, but with a straight shank. What makes this new hook so good and easy to use is that it offers all the advantages of a circle design, except that it makes use of a straight shank. This ensures that the catch rate after the hook-up is almost 100%! It can’t get any higher than that. 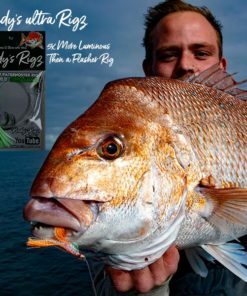 Suitable for Almost All Fish Species in Australia! What’s your favourite fish? Here in Australia, we like to catch Snappers, Salmons, Tailors, Gummy Sharks and Mulloways. You may have your own favorites. 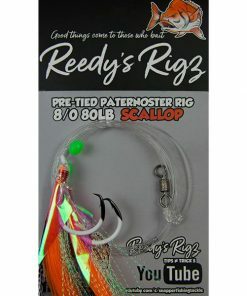 Reedy’s Ultra Rigz is designed in a way that it can be used to catch any fish species. This makes it different from a Flasher Rig, which is used only to catch Snappers. 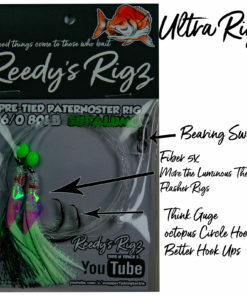 Yes, the Reedy’s Flasher Rig is very, very good at catching Snappers, make no mistake about that. 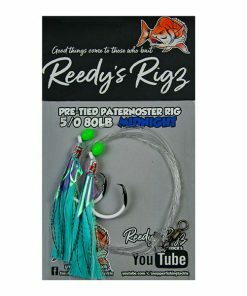 But the Reedy’s Ultra Rigs can catch not only snappers, but also salmons, tailors, gummy sharks and mulloways, or for that matter any of your favorite fish species. High quality fishing rigs at an affordable price. What more can you ask for? 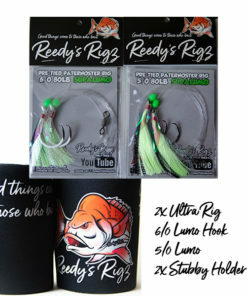 Fish like a Pro with the Reedy’s Ultra Rigs! 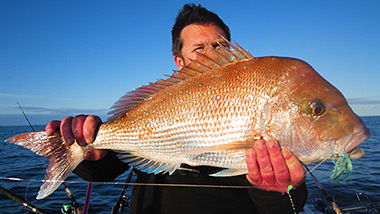 Hurry up as the new fishing season in Australia is just underway!